Also during the dinner, The Smiths were honored for their contributions to the Senior Center. Ken, Donna, and Debbie Smith have been giving line dancing and clogging lessons at PCCOA since 1989. 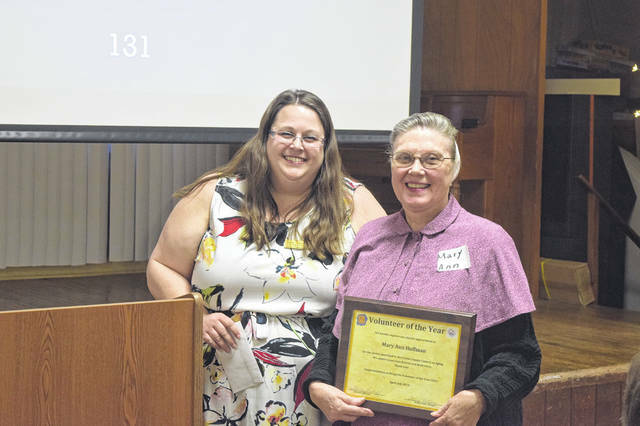 This year’s Preble County Council on AgingVolunteer of the Year is MaryAnn Huffman. 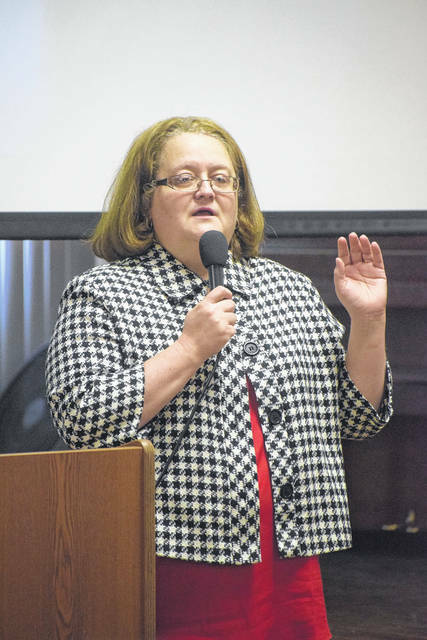 She was honored during the annual PCCOA Volunteer Dinner, held on Wednesday, April 3, at The Grange. 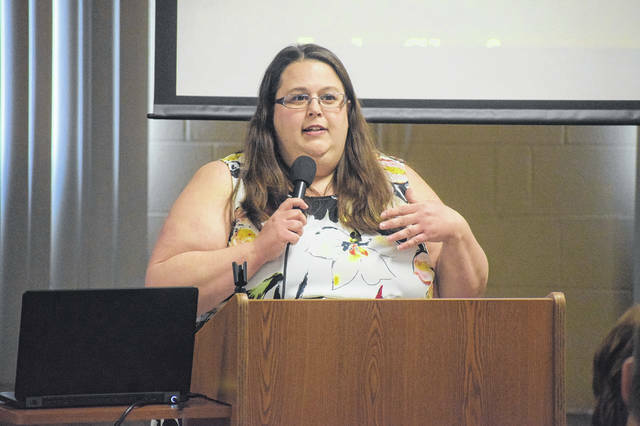 EATON — This year’s Preble County Council on Aging (PCCOA) Volunteer of the year is MaryAnn Huffman. 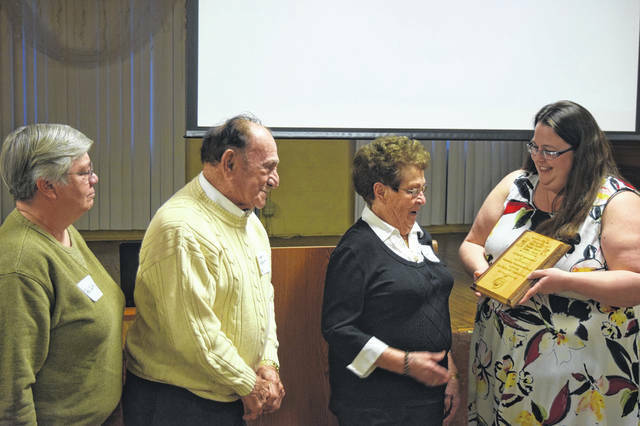 She was honored during the PCCOA’s annual Volunteer Dinner, held on Wednesday, April 3, at The Grange. During the annual event, Preble County Senior Center staff took the time to honor volunteers for their continuous hard work. 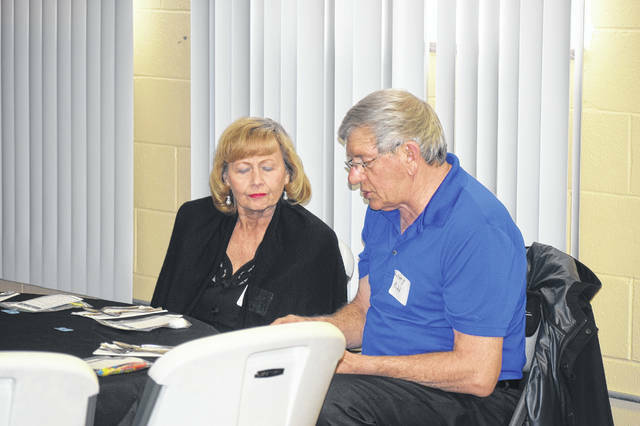 According to Senior Center Services Manager Stacey Fullmer, in 2018, PCCOA had a total of 6,248 hours by 131 volunteers, averaging a total of 47 hours per person. These volunteers saved the agency a total of $53,420, which was used by the seniors in Preble County. The following volunteers passed away in 2018 and were honored for their service during the dinner: Don Mason, Ray Potter, and Paul Lindquist. “These gentlemen were amazing, as you all know. We definitely miss them, not because they would do anything we asked, but we miss them because of who they were and just how wonderful they were. They always had great ideas and loved the center. We know they are here with us no matter what,” Fullmer added. Next, The Smiths were honored for their contributions to the Senior Center. In 1989, a group began offering line dancing and clogging lessons at PCCOA. Ken, Donna, and Debbie Smith have been giving these lessons ever since. Finally, it was time to recognize Huffman as Volunteer of the Year. Huffman has three children, 16 grandchildren, and eight great-grandchildren, with two more on the way. Not only does she volunteer for PCCOA, but she also volunteers for Saint Vincent DePaul. At the Senior Center, Huffman makes all of the desserts each week for the diner and the dance. In one day, she makes at least 10 desserts on average, if not more. 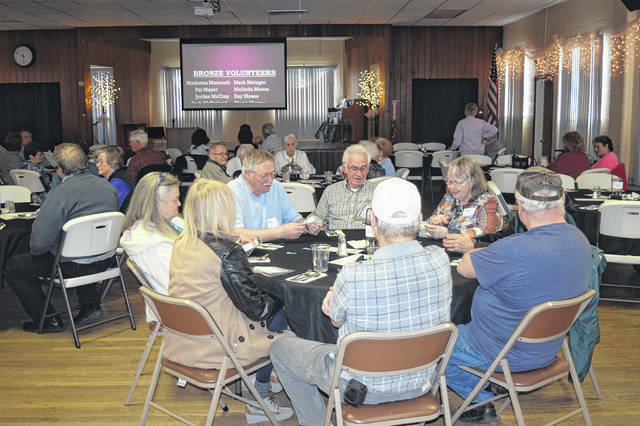 https://www.registerherald.com/wp-content/uploads/sites/41/2019/04/web1_PCCOA6.jpgAlso during the dinner, The Smiths were honored for their contributions to the Senior Center. Ken, Donna, and Debbie Smith have been giving line dancing and clogging lessons at PCCOA since 1989.
https://www.registerherald.com/wp-content/uploads/sites/41/2019/04/web1_PCCOA7.jpgThis year’s Preble County Council on AgingVolunteer of the Year is MaryAnn Huffman. 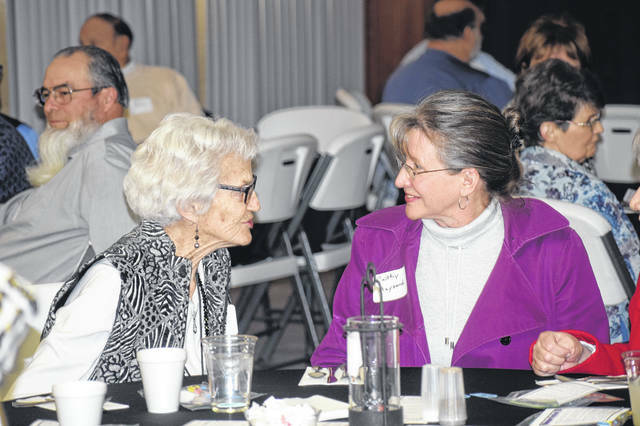 She was honored during the annual PCCOA Volunteer Dinner, held on Wednesday, April 3, at The Grange.